Why Should You Use an Employee Referral Program? 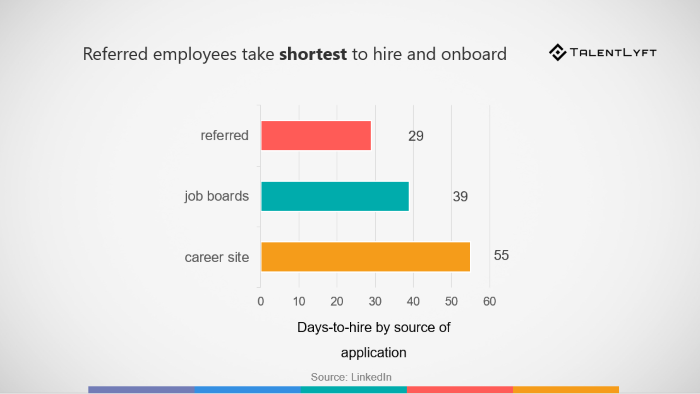 Employee Referral Programs are one of the most productive ways for finding new hires. Many recruiters and other HR professionals say that referrals are their best employees. Therefore, if you are wondering why should you use an Employee Referral Programs, the benefits are numerous. Some of them include: faster hiring, faster learning and on-boarding, more loyalty and lower turnover. Why implementing Employee Referral Program? Days have passed, and you have no applicants! The way we recruit has changed, and finding the right job candidates is harder than ever before. Most of the job candidates are passive job seekers, and they don't actively look for jobs. Therefore, you need to have a strategy for finding those passive candidates and attracting them to come work for you. Going through your own employees is the best way to do that. They know best who you ideal candidates are, and they know what part of your Employee Value Proposition could attract them. If you already haven't, this is why you should try using Employee Referral programs. Cost per hire - If you compare the price of the traditional ways, cost of getting your own people to refer the candidate is much cheaper. As many of them are working and talking to similar kind of workers, you are making your own employees perfect recruiters. Employer branding – with the right motivation (rewards) you will make your employees more engaged and happy to help, expanding the number of shares and views on, for example, social networks. Quality of hire – after you decide on a profile of your perfect candidate looks you will actually reach more of passive candidates this way and faster to the high quality active ones who are searching for a job at that particular moment. Need ideas for Employee Referral rewards? Here is the list of 50 most popular ideas for employee referral rewards. After you found the best way to motivate your employees to become the perfect recruiters, you should make few rules to make sure everybody is onboard. These rules should be simple, as the whole process. Everybody should be included and provided feedback no matter if their referrals are successful or not. Public recognition for a successful referral is a good way to nurture and engage your best talent. 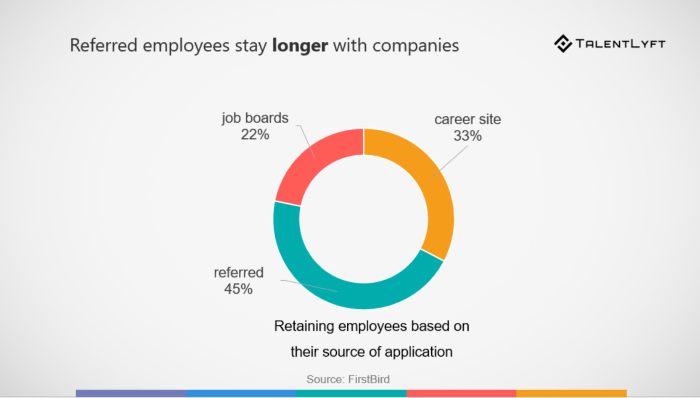 Referred employees are also likely to stay longer in the company and reduce your turnover rate. And remember, this is not the only way to find the great candidates so don’t forget to use the other ones. The reasons to use employee referral reward programs are numerous. Start planning and organizing your own program today, and I can promise you, you will see a big improvement in your recruiting and hiring strategy, and become a more successful recruiter.